You want to spread the word about your company across several media platforms, and a website is one of the most cost effective ways to do so. At Resource Media, we design dynamic websites that allow you to update content easily and often. We build informative, interactive, and user-friendly sites that are formatted to work for computers, laptops, mobile devices, and tablets. We design dynamic websites that allow you to update content easily and often by logging into a backend using the Joomla! Content Management System. 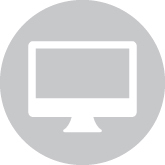 Our websites are formatted to be responsive which means they adapt to look great on computers, laptops, mobile devices, and tablets. Shopping has become easier than ever through the internet - consumers can get everything they need with the click of a button. can also register and manage your site’s domain name. We provide ongoing monitoring of your website for malware and hacks to give you peace of mind. In addition, we back up your site regularly. For extra security and optimization of your site, we make sure to keep its Joomla! software and all of it’s extensions up to date. Our content developers can help you write your website’s base information. In addition, we can help you keep your site up-to-date with new content. Online marketing tools offer a lot of ways to measure your results. We use Google Analytics to monitor page visits, clicks and more.